Thank you Vashti, you always say such nice things. 🙂 I bet you say that to all the writers 🙂 – I don’t mind if you do as they are all good too. Is that a dandelion? Very delicate imagery. 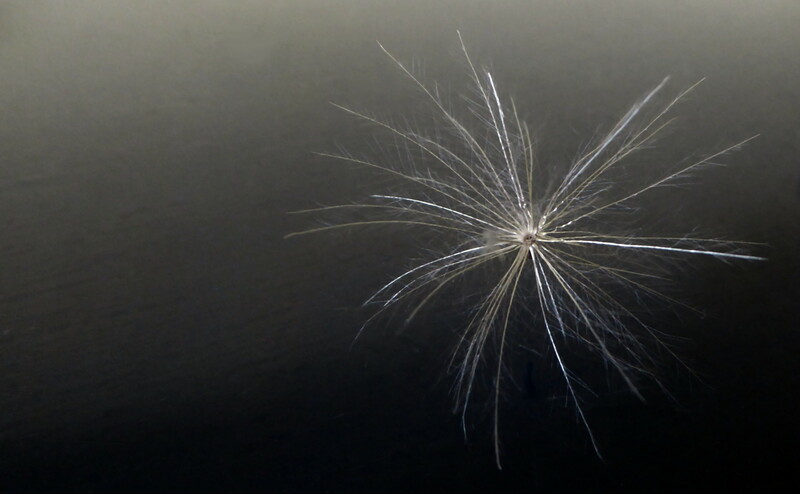 It is what I have always called a “fairy” – not sure what plant it comes from but it’s not a dandelion. All the branches come from one central point, whereas dandelions are all singular branches (if that makes sense). They just float around in the air sometimes and I confess I have never wondered where they came from – isn’t that strange? We called the scotch thistle thingies a fairy! That’s what it is, I’d say, from a thistle of some sort. They float around like that. I’m glad I asked. LOL. Couldn’t see the forest for the trees. 😀 Thistlemore is a lovely name, but thistles are so hard to get rid off. Many an hour I’ve spent hoeing out the dreaded saffron. I have gradually pared their numbers down over the last 11 years.